Channel Nine secured Cadbury as a sponsor for its reality hit show, The Voice. It signed onto the show via a sponsorship of Jessie J. The partnership included an integrated TV commercial series promoting the brand's Dairy Milk block range, while a 'Share the Joy' content series aimed to capture “key moments of joy for artists throughout The Voice”. Now, with its new Olympics deal, Cadbury is encouraging the nation to embrace the Olympic spirit and back the Aussie team by launching the new flavours to mark the special occasion. Cadbury is also a major partner of the 2016 Australian Paralympic Team. 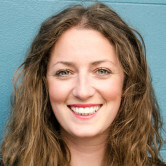 In questioning the 'Australian' apple crumble flavour, Lauren Fildes, head of strategic partnerships and events at Cadbury's parent company, Mondelez International, told AdNews the humble apple crumble mirrors Australian national colours of green and gold. It's the trusty Lamington block which represents a “truly iconic Australian flavour” - featuring milk chocolate with raspberry jam, vanilla cake flavoured pieces and coconut. There is no above-the-line marketing push for the campaign. Cadbury instead will be relying on a heavy social media and digital strategy, as well as point-of-sale and supermarket activations. Fildes says not only will the success of the limited edition chocolate bars be measured by the sales, but the 'sentiment' of how Cadbury fans interact with the new offerings is also very important. “As a business yes we of course will be looking at the sales, but the sentiment and engagement, which we can measure through our digital platforms and on social media, is just as important and is a big part of how we spread the joy,” Fildes said. As part of its support for the Australian Olympic Team, Cadbury has also launched a competition to send four Aussies and their friends off to Rio as Cadbury 'Joy Ambassadors'. The ambassadors will be tasked with helping to give Australian athletes a home advantage at the Rio Olympic Games and spreading Aussie joy on the world’s biggest stage. Did you catch this? Cadbury wants users to swipe right - joins Tinder. Rio 2016 Olympic Games Australia team sponsor Cadbury has unveiled two new special edition Aussie flavours as part of its brand integration to leverage the leading international sporting event. 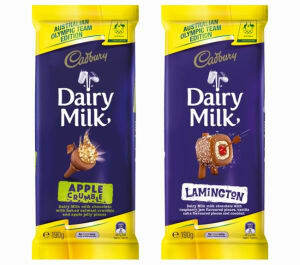 Curious chocolate fans can wrap their taste-buds around a Cadbury Lamington block, available at the official supermarket of the Australian Olympic Team, Woolworths, and can embrace the special edition Cadbury Apple Crumble bar from Coles – as of July. Over the last two years the confectionery giant has made a clear shift in its marketing strategy by bolstering its sponsorship efforts of major events, zoning in on 'entertainment', 'movies' and 'families' as its core demographic. Last year Channel Nine secured Cadbury as a sponsor for its reality hit show, The Voice. It signed onto the show via a sponsorship of Jessie J. The partnership included an integrated TV commercial series promoting the brand's Dairy Milk block range, while a 'Share the Joy' content series aimed to capture “key moments of joy for artists throughout The Voice”. Did Cadbury just steal Coke's new slogan?